Manufacturer of a wide range of products which include apple ice tea, black current ice tea, green lemon ice tea, lemon ginger ice tea, lemon ice tea and peach ice tea. Our company is counted amongst the well-reputed manufacturer, exporter, wholesaler and supplier of Apple Ice Tea. We have experts team who take care of all the processing of this product, they use best ingredients like Sugar, Acidity Regulators (E 296), Sequestering Agent ( E 331), Tea Extract, Vit C ( E 300), Anti Caking Agent (E 551 ). We offer this product in different packaging options at the most reasonable price. 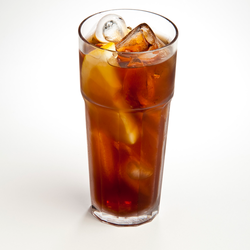 We have emerged as a reputed manufacturer, exporter, wholesaler and supplier of Black Current Ice Tea. 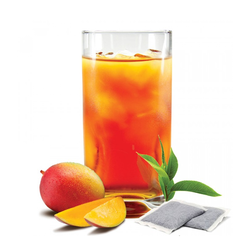 Provided ice tea is processed under the supervision of our team of food experts by utilizing the finest grade: Sugar, Tea Extract, Acidity Regulator ( E 296 ), Sequestering Agent (E 331), Vit C ( E 300), Anti Caking Agent ( E551 ). 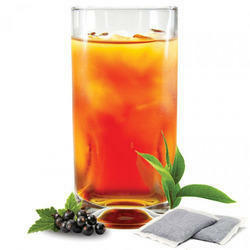 Black Current Tea offers a refreshing Black Current taste with Black Tea profile in the background. Recommended Usage: Ice Tea Add 9 gms. to 100 ml. of chilled water. If Ice is added reduce water accordingly. Hot Tea: Add 8 gms. to 100 ml. of hot water.This dosage is recommended for both sachets & vending Machines. Specifications: 9 months when stored as recommended in its original packaging. We are principal name in the market engaged in offering premium quality Green Lemon Ice Tea. 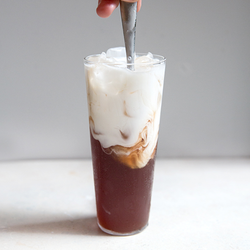 This ice tea is prepared by using the premium quality ingredients and latest methodology. Our product is available in different air tight packaging options that retail its quality for long period time. 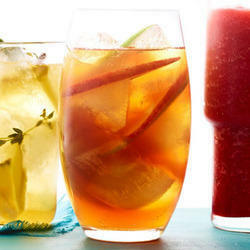 Offered ice tea is served as chilled beverage owing to its delicious taste and flavor. 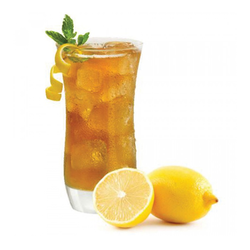 We are among the most trusted companies engaged in offering Lemon Ginger Ice Tea. Our skilled professionals have made the entire range of Tea using superior-grade ingredients like Sugar, Acidity Regulators (E 330, E 296, E 270), Tea Extract, Sequestering Agent (E 331), Vit C (E 300), Anti Caking Agent (E 551) in compliance with the international quality standards. This product helps in avoiding various kinds of diseases and health related problems. 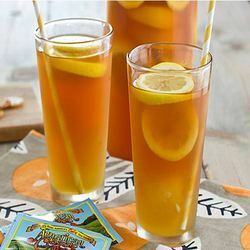 Description: Lemon Tea Offers A Refreshing Lemon Taste With Black Tea Profile In The Background. (a Few Soft Lumps Are Permissible). Ingredients: Sugar, Tea Extract, Acidity Regulators (e 330, E 334 ), Sequestering Agent (e 331 ), Vit C ( E 300 ), Anti Caking Agent ( E 551). Contains Added Flavours: Natural Identical Flavouring Substances. Recommended Usage: Ice Tea: Add 9 Gms. To 100 Ml. Of Chilled Water. If Ice Is Added Reduce Water Accordingly.Hot Tea: Add 8 Gms. To 100 Ml. Of Hot Water. This Dosage Is Recommended For Both Sachets & Vending Machines. Ingredients: Sugar, Tea Extract, Acidity Regulators (e 330, E 334), Sequestering Agent (e 331), Vit C (e 330), Anti Cakingagent (e 551). Contains Added Flavour: Natural Identical Flavouring Substance. Recommended Usage: Ice Tea: Add 9 Gms. To 100 Ml. Of Chilled Water. If Ice Is Added Reduce Water Accordingly.Hot Tea: Add 8 Gms. To 100 Ml. Of Hot Water.This Dosage Is Recommended For Both Sachets & Vending Machines. 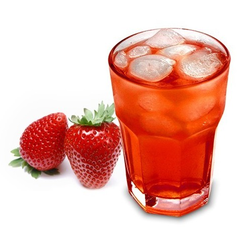 Description: Strawberry Tea Offers A Refreshing Strawberry Taste With Black Tea Profile In The Background. (a Few Soft Lumps Are Permissible). Ingredients: Sugar, Tea Extract, Acidity Regulators (e 296), Vit C (e 300), Anti Caking Agent (e 551). Contains Added Flavour: Natural Flavoring Substance. 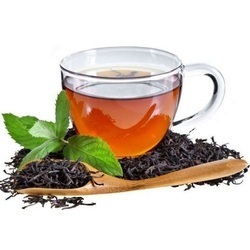 Description: Vanilla Tea Offers A Refreshing Vanilla Taste With Black Tea Profile In The Background. (a Few Soft Lumps Are Permissible). Ingredients: Sugar, Tea Extract, Anti Caking Agent (e 551). Recommended Usage: Ice Tea: Add 9 Gms. To 100 Ml. Of Chilled Water. If Ice Is Added Reduce Water Accordingly. Hot Tea: Add 8 Gms. To 100 Ml. Of Hot Water.This Dosage Is Recommended For Both Sachets & Vending Machines. 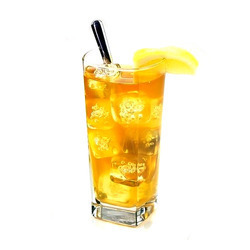 Being a trusted manufacturer, trader and supplier in the relevant industry, we offer an innovative grade of best Ice Tea. Our given ice tea is demanded for its health benefits. 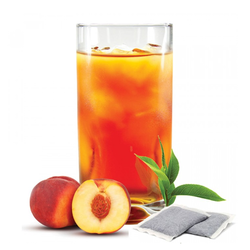 This ice tea is processed by using the top quality ingredients and advance methodology. Our offered tea is available in various air tight packaging options that retail its quality for long time. Customers can avail this ice tea at nominal rates. Recommended Usage For Thin Gravy: Add 50 gms. premix 250 ml. of milk 30 gms. cream 150 gms. tomato puree 100 ml. water and simmer on medium heat for 1 to 2 minutes. For Thick Gravy: Add 20 gms. premix 50 ml. of milk 25 gms. cream 150 gms. tomato puree and simmer on medium heat for 1 to 2 minutes. Shipping & Storage: Shipping and storage temperatures should not exceed 70°C. Storage should be in clean & dry place. Shelf Life: 7 months when stored as recommended in its original packaging. 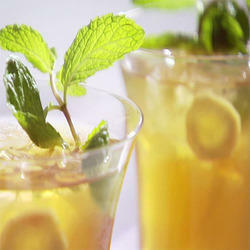 Being a quality oriented organization we are involved in offering a premium quality Lemon Ginger Ice Tea. Offered tea is served as chilled beverage owing to its delicious taste and flavor. These premixes are delicious in taste and provide instant energy to a tired body. Our provided tea is available in different air tight packaging options that retail its quality for long period time. 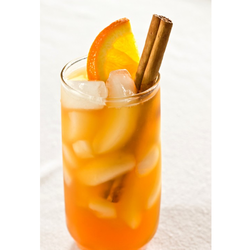 This ice tea is prepared by using the premium quality ingredients and latest methodology. Ingredients: Sugar, Acidity Regulators (e 330, E 296), Tea Extract, Sequestering Agent (e 331), Vit C (e 300), Anti Caking Agent (e 551). Description: Orange Drink Provides A Refreshing Ripe Orange Profile. (a Few Soft Lumps Are Permissible). Ingredients: Sugar, Acidity Regulators (e 330, E 296, E 331), Stabilizer (e 466), Vit C (e 300), Anti Caking Agent (e 551). Contains Added Synthetic Food Colours (e 110, E 122). Recommended Usage: For Instant Drink: Add 25 Gms. To 200 Ml. Of Chilled Water. If Ice Is Added Reduce Water Accordingly. For Ice Slush: Add 25 Gms. To 200 Gms. Of Crushed Ice Or Blend Whole Ice & Drink Premix In Commercial Barblender.For Mocktalls: Add 10 To 15 Gms. With Any Fresh Juice/S & Ice For A Nice Refreshing Mocktail. We are offering Flavored Tea. Looking for Ice Tea ?